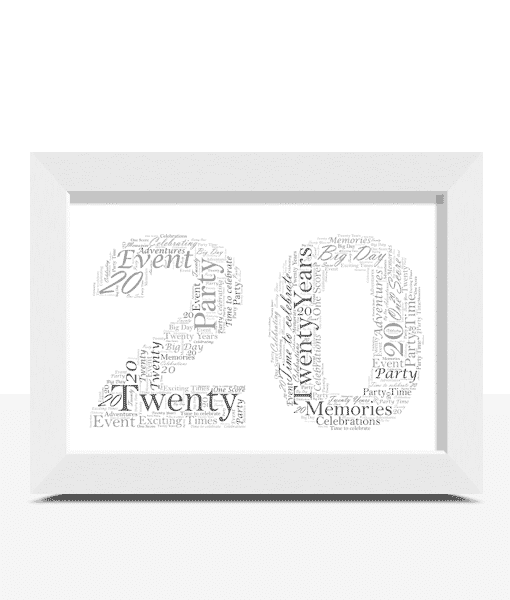 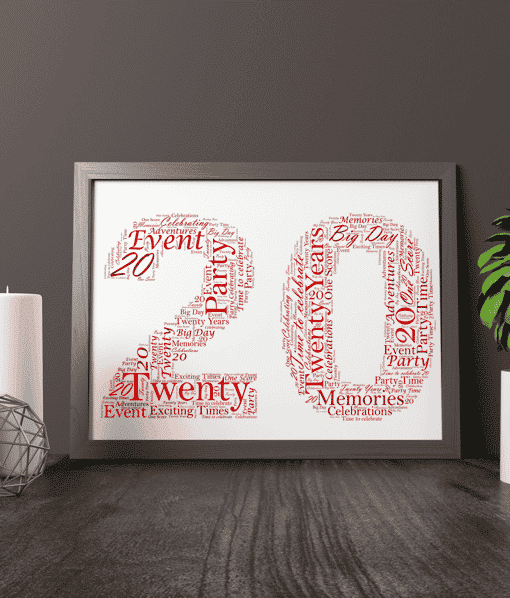 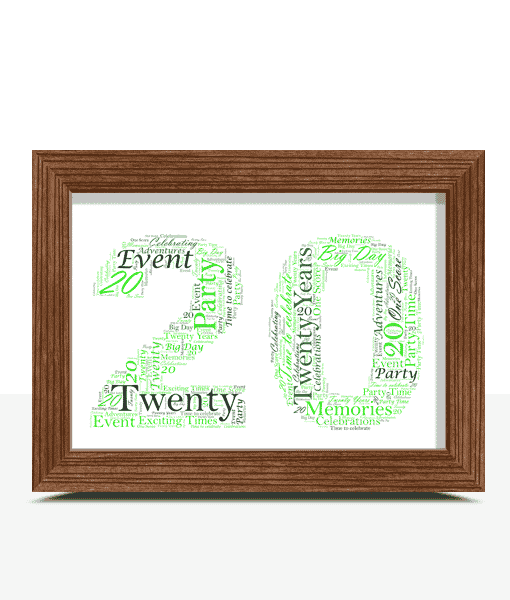 Add your own words to this number 20 word art print to create a personalised 20th birthday or anniversary gift. 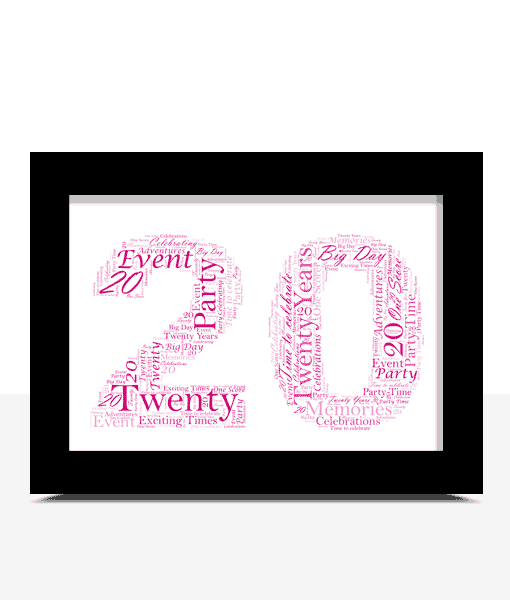 Shaped in the number twenty this print can be fully customised by you to make a lovely personalised gift. 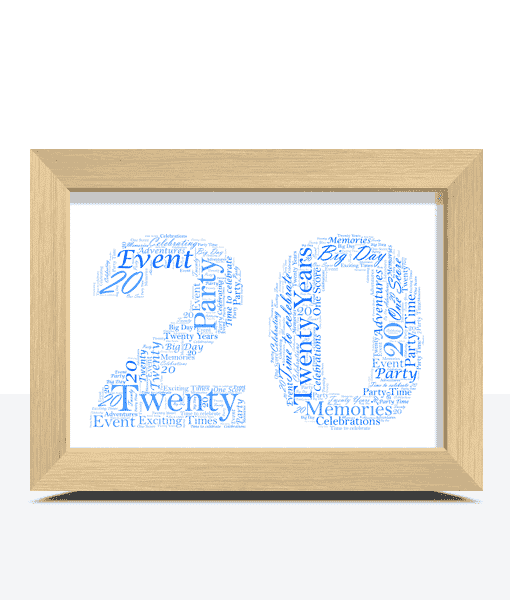 Example: Twenty Years, 20 years, Celebration, Party Time, Great times, Future, Family, Fun, Birthday Party, Friends.